Everyone deserves the chance to learn and practise music. 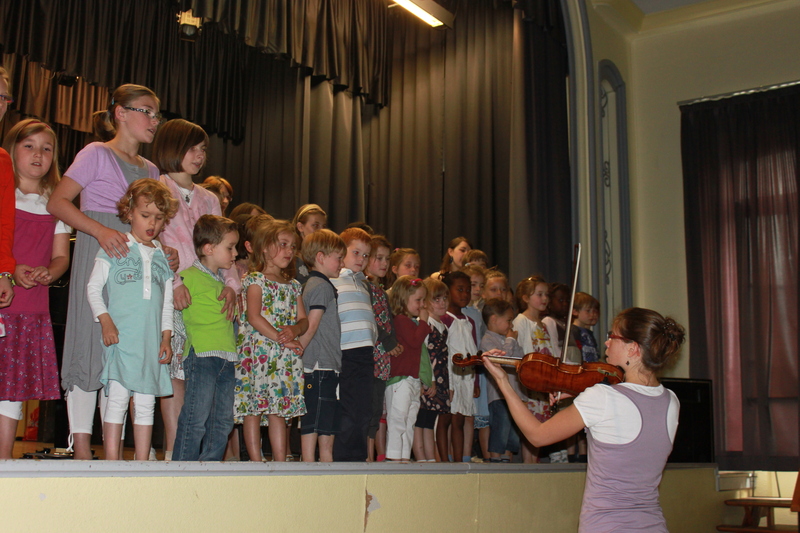 Learning music improves skills training, self confidence and also social development. It has an incredible power to change life and build communities. For that reason, on one hand, countless initiatives encourage young people thinking at pursuing music at the level of higher education. On the other hand, music hubs foster innovation in less favoured or more general environments (public schools, associations, etc). And there are also special contexts like hospitals or centers which work for persons with disabilities. Happily a lot of music charity associations organize a lot of events for them. Software is one key to successful learning of music, because it helps communities to share music more easily and individuals to get a training to a personal tempo. And teachers appreciate it because it is familiar to the tech universe so much loved by youth. So software can deserve the multi-faceted aspects of music education. Amongst them, Pizzicato music composition and notation software is interesting because it includes complete user guides which offer numerous exercises in matter of solfeggio and music composition. Also you can engrave your music and share it easily on every internet website, including music sharing platforms. I will not sum up here the hundreds of pages contained in the guides, you can download the free demonstration version of the program at http://www.arpegemusic.com and make your own opinion. If you sing in a choir or play in a band outside work, keeping music as hobby, or if you are a composer or an interpreter, 1 of our 13 products can bring you some facilities in learning, writing or composing. You will find more information at http://www.arpegemusic.com (you will be able to download all the complete user guides for free and more than 100 newsletter about composition). Pizzicato music composition and notation software – What kind of relationships with musicians ? Music software are created for musicians. They are programs which help to treat computer data so that their users can execute tasks in a more efficient way – here in the musical fieldwork. Efficient, quick, unique, smart. And for what concerns sheet music, it is about bringing page layout to perfection, composition optimization, and convenient sharing. For example Mr. Dominique Vandenneucker, who created Pizzicato music composition and notation software more than 20 years ago, explains that its first goal was, is and will be to share with musicians the benefits of computer science in matter of music scores. As I work with Dominique for 10 years, I precise that sharing ‘with musicians the benefits of computer science’ does not exclude at all the fact that Pizzicato can be more than (another) simple tool. All musicians would not want to and do not need to, but Pizzicato wants to facilitate the acquisition of music knowledge by beginning musicians as well as to guide more advanced ones towards the top of the musical composition art. “Pizzicato is for me a source of wellbeing. At social level first, this software brought me an occupation in my life after I retired, a reason to get up from my chair and make my brain work, also an occasion to have more human contacts. Thanks to Pizzicato, I feel less isolated and more active. Isn’t it surprising ? She could have considered that, because she had paid for a software, it was logically a simple tool to use but no she associated the programming work made by Dominique to her own happiness. How surprising. As a marketeer I am trained to listen to customers, here I found a friend whose testimonial still enchants me. Now I hope that Pizzicato music composition and notation software will help you both to enrich your contribution to the expansion and the enrichment of the musical fieldwork and that it will bring you one more occasion to increase your wellbeing.